“We’ve heard the executive board of the donor agency [ADB] has approved a financing proposal in this regard. But, the government will move for feasibility study of the project once it receives the official letter from the ADB on the issue,” said Mohammad Alauddin, joint secretary (renewable energy) to the Power Division. They said if the Kaptai Lake solar project is proved to be a successful one, then more similar projects will be implemented both in public and private sectors. Besides, the government is considering implementation of another 30MW floating solar project in the canal of the Teesta Water Barrage area, they mentioned. Solar projects require huge land and Bangladesh’s main barrier is the land scarcity to setting up solar projects. 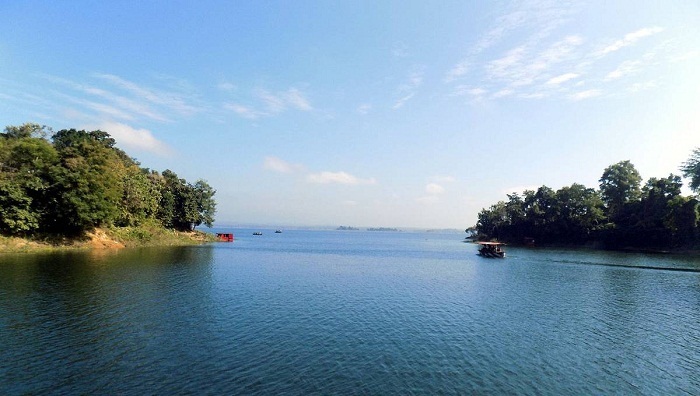 “The Kaptai Lake was chosen because of its availability of water throughout the year. Electricity evacuation will be easier because of a ready infrastructure in the Karnaphuli Hydropower project”, Alauddin told UNB. But all will depend on the opinion of the Water Development Board (WDB), which now owns and operates the project, he said adding that the Power Division will pursue the idea with the organisation through its line ministry. “If they agree, then the Power Division will move forward with the project for implementation through private sector entrepreneurs who are interested to invest in such projects,” he said.